Operencia: The Stolen Sun proves ambitious for an indie project, and one that offers a wealth of satisfying content for the asking price. Its methodical, sluggish nature may not be for everyone, but those who accept it as a rough-around-the-edges retro dungeon crawler, should get a kick out of it. Zen Studios has created a beautiful dungeon crawling RPG that not only will please the diehard blobber fan but also newcomers thanks to clever modern sensibilities. While the tile-based movement isn’t perfect, don’t let that hold you back from experiencing everything else Operencia: The Stolen Sun has to offer. You won’t regret it. Operencia transports you somewhere far, far away, and once you get there, you'll probably want to stay a while. A good classic dungeon crawler that may be too rude for non-usual players of the gente. 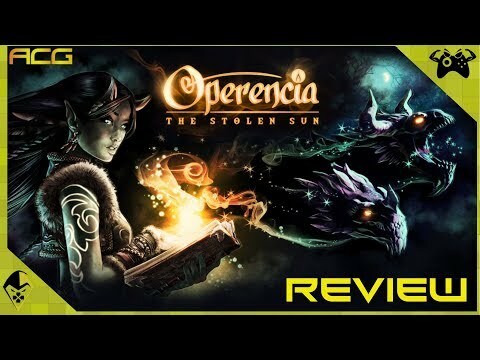 Operencia: The Stolen Sun is an excellent throwback to old-school first-person dungeon crawler games, complete with solid mechanics, a predictable yet enjoyable story and a very well written cast of characters. While the old-school influence is dominant throughout the game, many of these features have been modernized, so even those who never played the classics will find something to enjoy in Operencia, from the beautiful art style to the turn-based battle system and dungeon exploration. Operencia: The Stolen Sun shouldn’t be skipped. What is here is a wonderful RPG that is welcoming to veterans and newcomers alike. Because this is on Microsoft Game Pass there is absolutely no reason to not give this game a shot. There is absolutely something for everyone who enjoys RPGs. Operencia: The Stolen Sun is a top-notch old-school dungeon crawler that modernizes the genre in impressive ways. Operencia: The Stolen Sun makes a great first impression with its beautiful visual style and after it reveals its complex gameplay mechanics and unique story, the positive feeling only grows deeper. All that and fast, fluid combat creates a great experience suitable even for dungeon crawler novices.